Forget reward schemes, a stylish design would probably have far more impact on me when selecting a credit card, and potentially a new country of residence. 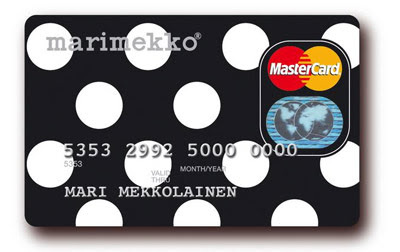 According to the Marimekko blog Always Mod residents of Finland can apply for a Marimekko Mastercard, which also functions as their loyalty card. How very scandanavian. Debt never looked so good.